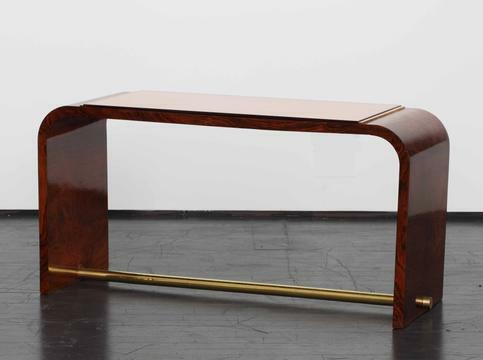 An icon of French Modernism, Jacques Adnet is known for his furniture designs in leather, glass and metal. 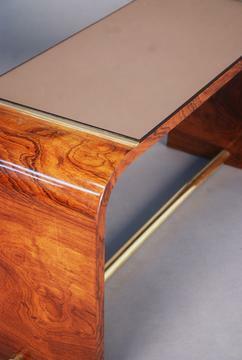 He believes in the functional aspect of furniture combined with geometrical simplicity. 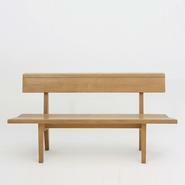 A graduate of the prestigious Ecole des Arts Decoratifs of Paris, Jacques Adnet was inspired by pre-classical styles and was well acquainted with traditional furniture. Until the age of 28, Jacques lived and worked hand in hand with his twin brother Jean at the Studio La Maitrise, where they met the Art Déco designer Maurice Dufrenes. 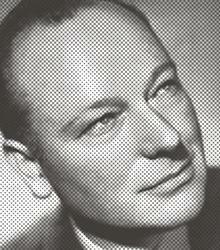 From 1928 to 1960, he directed La Compagnie des Arts Francais. His team of decorators included Francois Jourdain, Charlotte Perriand and Georges Jouve. Adnet presided over the Salon des Artistes Decorateurs from 1947 to 1949. 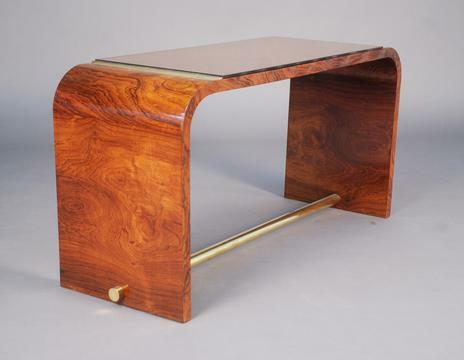 During the 50's, he created furniture and concentrated on the numerous commissions he received, such as the decoration of the private apartments of the President at the Elysée Palace or the meeting room of the UNESCO headquarters in Paris. In 1959 he became the director of l'Ecole Superieure Nationale des Arts Decoratifs in Paris until 1970.